The Congressional Progressive Caucus co-chair argues that if Democrats stand on principle and put resources into organizing, they will win. The Democratic National Committee must change, radically, if it is going to be prepared for the challenge of opposing President-elect Donald Trump and the most right-wing Congress in American history. The DNC that could not stop Trump must be replaced by a DNC that can stop Trumpism. Wellstone spoke those words after the heartbreaking election of 1984, in which Ronald Reagan won a 49-state landslide victory that led many Democrats to imagine that their party needed to ease up on its historic commitment to economic justice and its emerging commitment to a broader vision of social justice. Wellstone argued that the naysayers were misguided, that a turn inward that betrayed the “democratic wing of the Democratic Party” represented an abandonment of the future. He was right, on so many moral and political levels. Wellstone’s vision lives on with those who worked with him on behalf of economic and social justice and peace—and on behalf of a grassroots-focused and boldly progressive Democratic Party. 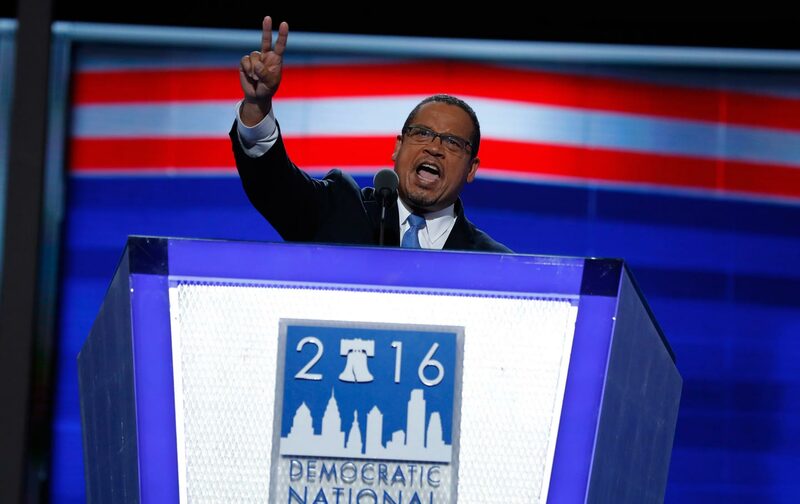 One of Wellstone’s allies was a young lawyer from Minneapolis named Keith Ellison, who would become a congressman and is now emerging as a potential front-runner for the chairmanship of the DNC. Ellison embraced the Wellstone vision in Minnesota, where both men emerged from the same Minnesota Democratic-Farmer-Labor Party activist tradition. They worked together for shared goals as a sitting US senator and a young African-American community activist looking to get involved in Minnesota politics, as a college professor and a lawyer, as an veteran farm and labor organizer and a community organizer on issues of racial and economic justice, as a Jew and a Muslim who sought a more progressive Democratic Party and a more progressive local, state, and national politics. “Paul taught me that if you have a vision for an inclusive society, for peace and for environmental sustainability, you don’t just run to make a point, you run to win elections,” says Ellison. That is what Democrats must do if they seek to mount an inspirational and effective opposition to Trumpism—and if they seek to provide a vision for the next American politics and the next America. So the prospect that Ellison, a co-chair of the Congressional Progressive Caucus, might bid for the chairmanship of the DNC is exciting. If he runs, Ellison will face opposition from former Vermont governor Howard Dean, who was a successful DNC chair in the period after he bid for the party’s 2004 presidential nomination, and potentially from a contender for the 2016 Democratic nomination, former Maryland governor Martin O’Malley. The names of other prospects continue to be discussed, including one of the party’s ablest communicators, former Michigan governor Jennifer Granholm. Ellison has for months been engaged in behind-the-scenes discussions about the future of the party, and its chairmanship. Through it all, he has argued that the party must change. He has spoken not just to Sanders backers but also to key Clinton backers, to insiders and outsiders. And he has talked a lot about the Wellstone model of constant, at-the-grassroots organizing rather than a politics of money and poll-tested talking points. But Ellison is also talking about Wellstone’s other ingredient of democratic renewal: good public policy that is clearly distinguished from the conservative agenda.